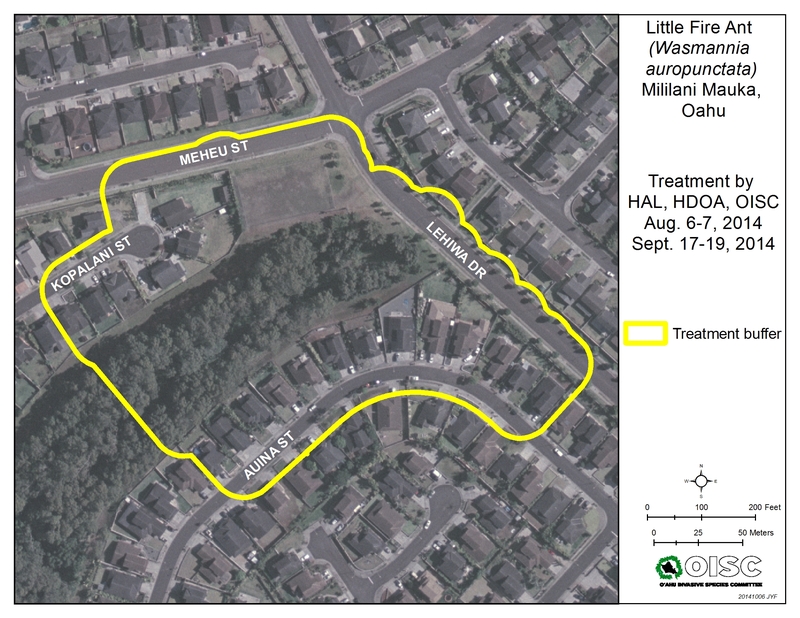 HONOLULU — The Hawaii Department of Agriculture (HDOA) has declared that little fire ants (LFA) have been eradicated from the Mililani Mauka neighborhood that was found to be infested in June 2014. This morning, a multi-agency pest detection crew conducted the final survey of homes in the infestation zones and no LFA were found. The infestation zone covered six acres, including 21 homes on Auina and Kopalani Sts. and a greenway (gully) in between the two streets. 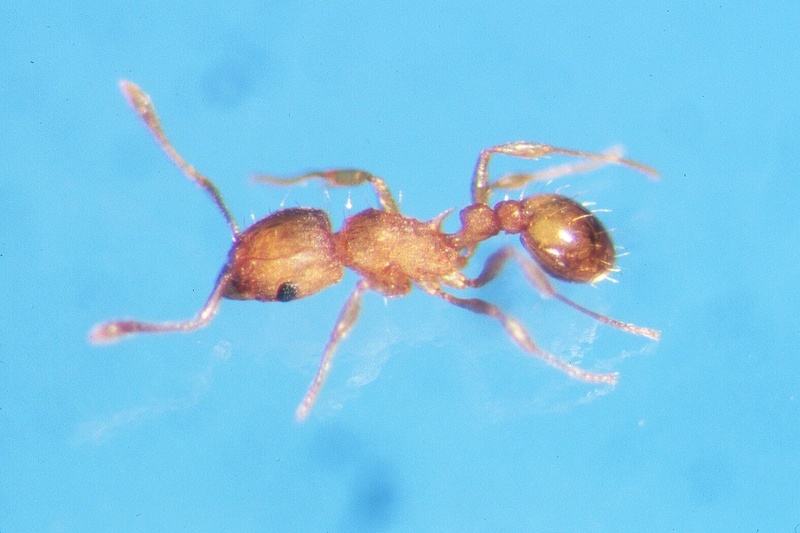 A multi-agency group has been working since to treat and survey the area, including HDOA, the Hawaii Ant Lab (HAL), the Oahu Invasive Species Committee, and the Hawaii Invasive Species Council. According to the treatment plan developed by HAL and HDOA entomologists, several alternating types of pesticides and bait formulas are applied on a six-week interval. The last treatment of the infestation zone in May 2015. The extensive surveys were conducted periodically to check for LFA and none have been detected. HDOA will continue to monitor the perimeter area to check for any reinfestation. LFA are tiny ants, measuring 1/16th inch long, are pale orange in color and move slowly. LFA move slowly, unlike the Tropical Fire Ant which is established in Hawaii, which move quickly and are much larger with a larger head in proportion to its body. LFA can produce painful stings and large red welts and may cause blindness in pets. They can build up very large colonies on the ground, in trees and other vegetation, and buildings and homes and completely overrun a property.